Alex first met PJ Higgins in 2007 when he came across her Myspace page The Black Stripe. He thought her vocal sounded great and that the name was hilarious. She also hosted two other sites named Princess Juliana and PJ Higgins, all of which illustrated her different styles and talents, from Garage Rock and Blues to Reggae and pop/soul. He contacted PJ Higgins with little hope she would ever return his message – but she did! Because they were quite busy, they initially never managed to hook up until it turned out that by chance a mutual friend was doing PR for both Alex and PJ Higgins. When they finally met at Alex’s Space Eko Studio, it turned out that PJ Higgins had been there a few years earlier when an advertising company was holding auditions for a singer. Despite there having been about 50 singers that day, Alex remembered PJ Higgins well as the best candidate. From then on, they started to work on various collaborations, such as The Future Shape Of Sound and Son Of Dave. Alex would also record her lead vocals on her various song-writing collaborations with other people. They also did a couple of ads together and always kept in contact. Both men felt that PJ Higgins had great potential – so it was a wonderful moment of serendipity. 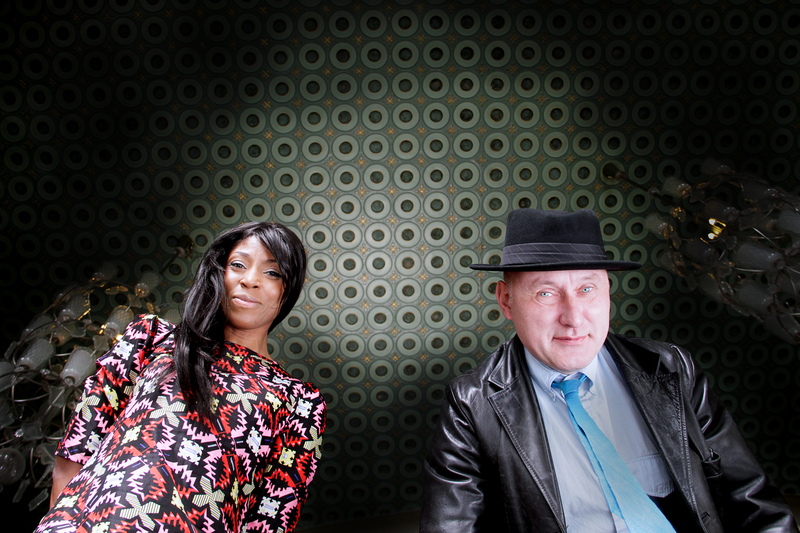 Jah Wobble explained to Alex that he had first seen her perform with Temple Of Sound in 1998, when they appeared on the same bill at a festival at the Acropolis in Athens. He thought that she had a lot of potential. However, he thought it would be wrong to steal the singer of another band and so he left any eventual meeting to chance. A good old small-world-scenario had occurred and the possibility of doing collaboration was loosely mentioned that night. Out of courtesy Jah Wobble contacted Nick Page (Temple of Sound/Dub Colossus to clear the way in regard to working with PJ Higgins. When approached she happily agreed to work on the project and commenced soon after at Alex’s studio. Wobble and Alex had separately written some instrumental tracks with Dub, Blues and Soul elements that were used as starting points and developed further in the studio, co-produced by the two musicians. With PJ Higgins’ lyrics and melodies, the tracks turned into songs with their own strong identity and sound.